Originally, I had planned to arrive in Austin from Dallas a little bit early so we could grab more BBQ. However, we were so full from all of our eating, no one was in the mood for a sit down meal. 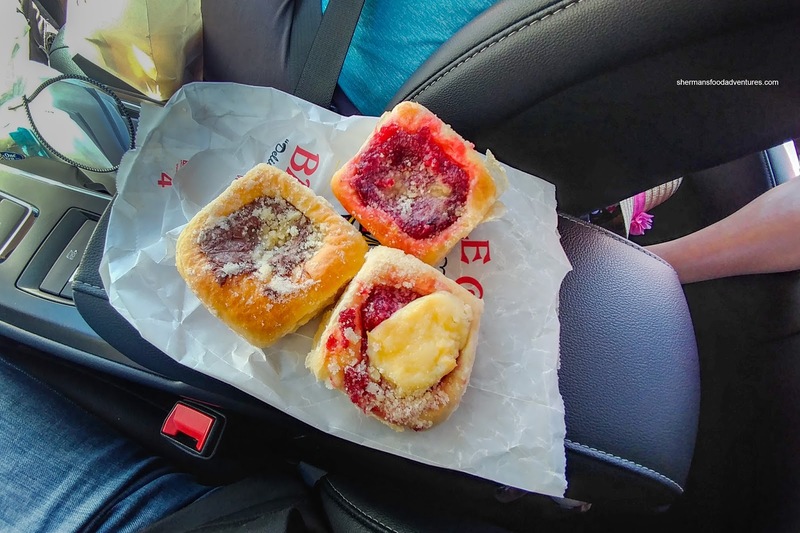 Therefore, we made the convenient stop in West, Texas for some gas and some Kolaches. Huh? What? Yes, situated in a gas station, the Czech Stop & Bakery has been serving up these traditional pastries since 1983. 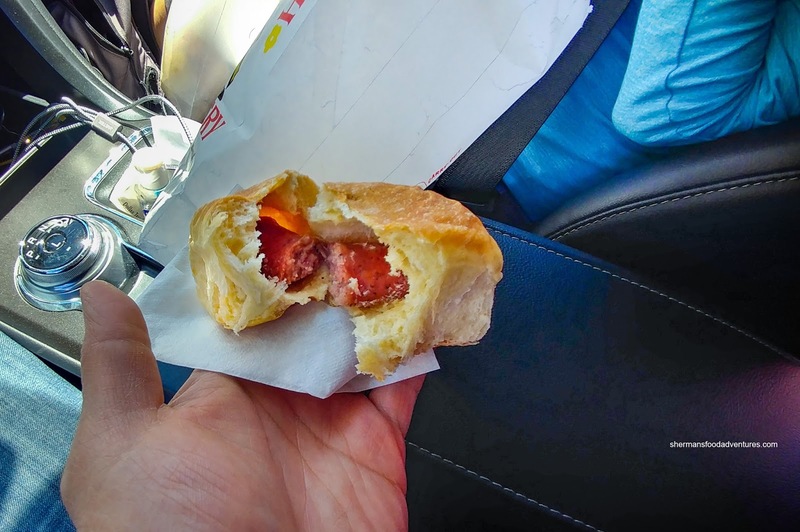 For those who never have tried Kolaches, they are pastries made of sweet yeast dough usually filled in the middle with fruit. As such, went ahead and got the Cherry and Cherry Cream Cheese. Unlike kolaches I've had before (and that isn't many), these featured much more filling than dough. Hence, there was plenty of sweet fruitiness and moisture. The dough itself was pillowy soft and lightly sweet, but wasn't soggy (even around the fruit glaze). I found the filling to be just sweet enough. My son didn't want fruit and had the Nutella. He enjoyed it since there was enough filling to add a nutty sweetness. For me, that was too much nutella for the amount of pastry. But what do I know? 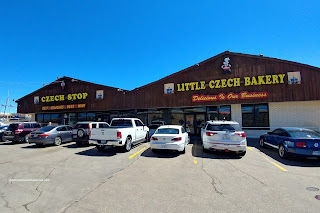 For me, I enjoyed the sweet kolaches, but I'm more of a savoury person. 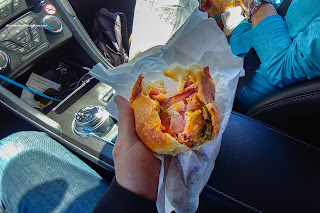 Therefore, we also got some savoury pastries including the Ham, Jalapeno and Cheese. As evidenced in the picture, there was no shortage of filling which meant it was hearty and flavorful. There was spice and tang from the jalapenos while the ham and cheese added saltiness. I wasn't as impressed with the Sausage and Cheese as it didn't seem as fulfilling as the ham & cheese. There was less cheese and the sausage wasn't big enough to ensure that it was in every bite. Despite this, the fruit kolaches were every bit as good as people have remarked on the internet. If you are passing by, I suggest you make a stop.